One of our full garden transformations. 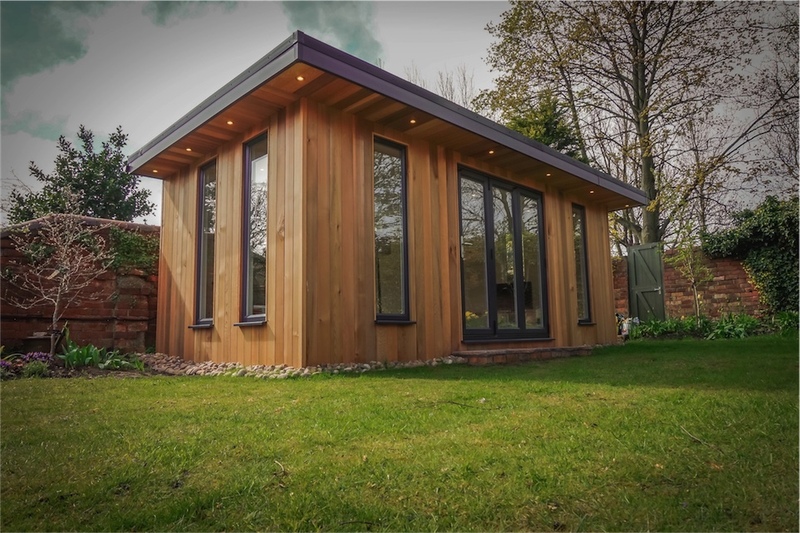 Our Garden Rooms are designed for all year round use with the same insulation methods you would find in any new home. We use only the finest selected Cedar Panels giving you a beautiful looking room, built to perfection in your garden that needs no maintenance. We also offer a bespoke service so if you can think of it, we can build it! 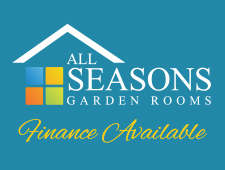 All Seasons, The home of Gardenrooms & Spas. 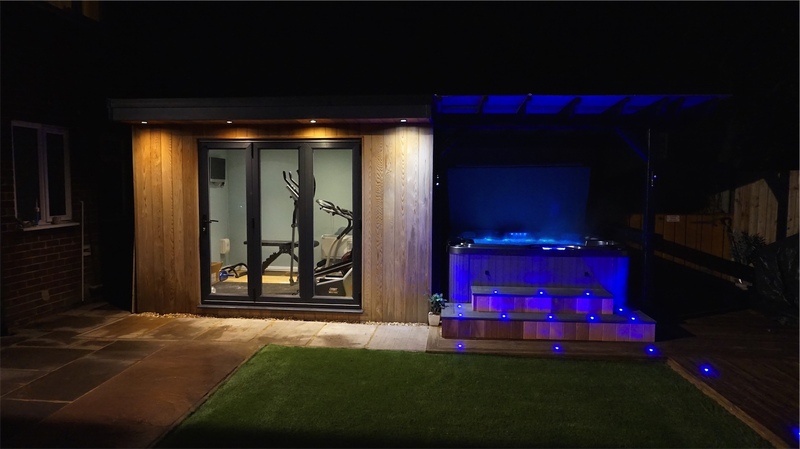 Need Extra Space or simply need a place to relax, maybe a garden office or a home gym, the uses for our gardenrooms are endless as we can build the perfect room for you and your garden. Garden rooms are the perfect solution if you need to add more living space to your home and usually do not require any planning permission. We also offer a great selection of top American & European brand hot tubs at unbeatable prices that are affordable for everyone. Whatever your garden needs, we can do it. We do not employ any commission based salesmen or middlemen, which enables us to be very competitive on prices. We also offer finance for all of our gardenrooms and hot tubs spreading the costs . So call us today and get started on your dream garden. We now have a finance option available for our customers. Please contact us further to find out more, and make your garden room a reality! Our Chester range gardenroom is a simple but contemporary design that can also feature from having an overhang roof to the front or sides with spot lights or wall lights to really show the full potential of this garden room. Also the windows and doors come in a wide range of colours so you really can put your own mark on this style. A very popular choice with most of our customers and will fit very easily into most gardens. 4 double sockets, 4 interior spotlights, outside lighting. Fully insulated for all year use. Overhang roof for additional costs. Bi-folding doors can be added for additional costs. Can also be built to any size so please contact us and we can quote you on your dimensions. More windows can be added to your garden room with additional costs. Extra sockets and lights can be added with additional costs. Our Hexham range is an exellent design to our range, with its return corner window to the side bringing in extra light and the overhang roof with spotlights, this garden room would look stunning in any garden. All prices are for standard fittings. 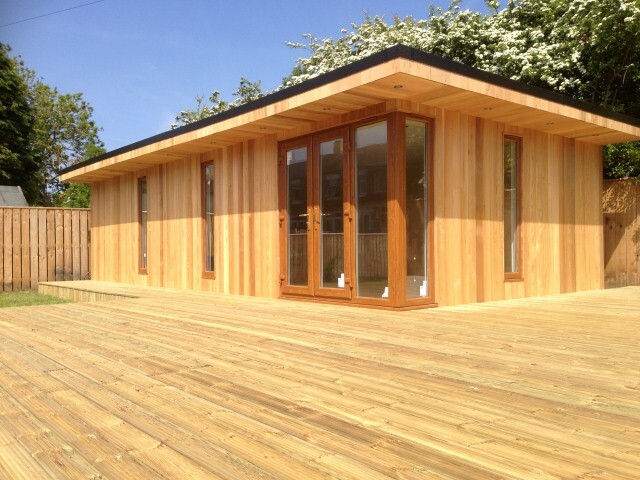 This style of garden room can be built to any size so please feel free to contact us to discuss your requirements. 4 double sockets, interior spotlights, doorway spotlights. Bi-Fold doors can be fitted with additional costs. Storage area can be added to the side or rear. Our Bespoke Service service is for people to have input into how they want there garden room to look. From your first enquiry we can take your ideas and create a few designs to achieve the perfect room for you. Changes can be made at any time on the design at any time , then once we have your planned design we can then quote you on it. Our design service and survey are all free so at this stage it has cost you nothing. What have you got to loose. Check out some of our bespoke garden rooms we have carried throughout the NorthEast out in our bespoke project gallery and read some of the testimonials from some of our delighted customers.